After two eventful ODIs, England Lions are yet to open their tally and they come into the third ODI against the India A side with the series to be kept alive for at least another match. While Alex Davies has impressed for the the Lions, the spin duo of Axar Patel and Mayank Markande have troubled the Englishmen consistently. With the venue remaining the same for the entire series, the English will be hoping for a reversal in fortunes as soon as possible with the series still left for the taking. Expect another high-scoring and competitive match between the two young sides. The Lions will be pondering a few changes to side after a dismal show with the bat. Ollie Pope should make way for Steven Mullaney, whose clever variations also help their cause in the bowling department that haven't done all that good too. The bowling, especially the spinners, haven't done much in the middle overs where Shreyas Iyer and Hanuma Vihari have done damage. Dominic Bess' off spin has also been ineffective and should see either Matthew Carter or Jamie Overton come in for him. Possible XI: Davies (WK), Duckett, Hain, Billings(C), Mullaney, Jacks, Gregory, Briggs, Overton, Chappell and Porter/Mahmood. After two wins on the trot, Rahul Dravid would be tempted to make a few changes with rotation being key to the India A sides of the past. Ankit Bawne should keep his place in the side while Anmolpreet Singh could be given another match to prove his talent with KL Rahul waiting on the sidelines. Shardul Thakur could be given a day for Navdeep Saini while Axar Patel could sit this match out for Krunal Pandya, who isn't included in the squad for the fourth and fifth ODIs. Possible XI: Rahane(C), Rahul, Vihari, Iyer, Kishan(WK), Bawne, Krunal, Chahar, Navdeep, Markande and Kaul. Wicket-keeper: Alex Davies and Ishan Kishan have proven their worth in the series so far, making both of them viable options for this slot. Davies was the lone batsman who withstood the heap of wickets falling around him and showed good technique as well to succeed. Batsmen: With a number of quality batsmen on offer, Sam Hain and Shreyas Iyer are two great young batsmen who have consistently performed well for the England Lions and India A sides respectively. Both of them, along with the likes of KL Rahul, Ajinkya Rahane and Sam Billings are great options to go for as well. Ben Duckett could also slot in for either of the five, with the Englishman capable of giving quick starts at the top of the order. All-rounders: Lewis Gregory is the only all-rounder who is safe to play with Krunal Pandya possibly replacing Axar Patel in the India A side. Gregory has been good with the ball with a couple of wickets to his name and would be a worth-while selection. Bowlers: Siddarth Kaul and Mayank Markande are two bowlers you would not want to miss out on for this match. Both of them are playing their last match in the series and would want to make an impact before leaving. Zak Chappell and Danny Briggs are also viable options to round off the fantasy team. Captain: Sam Hain and Shreyas Iyer are ideal choices for captain with their ability to rotate the strike and keep the score moving during the middle phase. 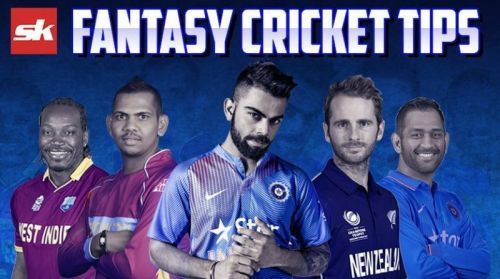 Other options also include Sam Billings and Ajinkya Rahane, with both of them doing well in the series so far.